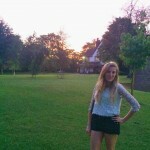 Bryony on Oadby… I MISS YOU! Norman Housley, professor emeritus on Oadby… I MISS YOU! Atlas Johnson on Oadby… I MISS YOU!